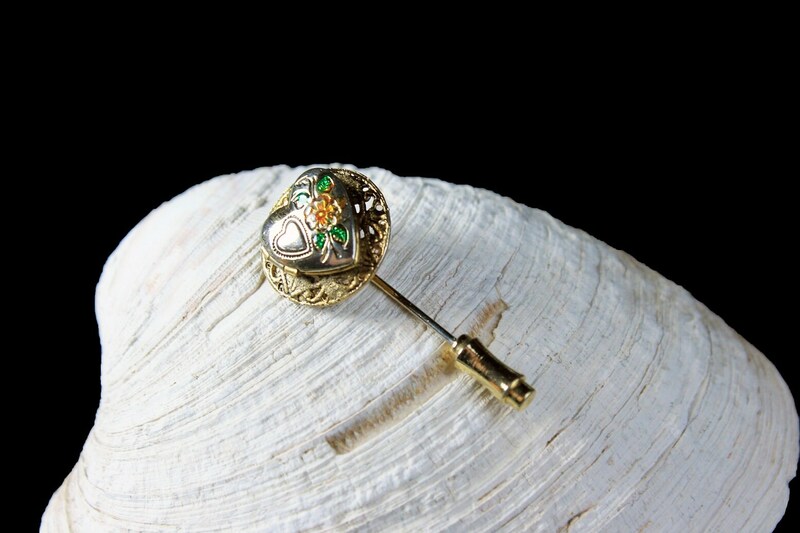 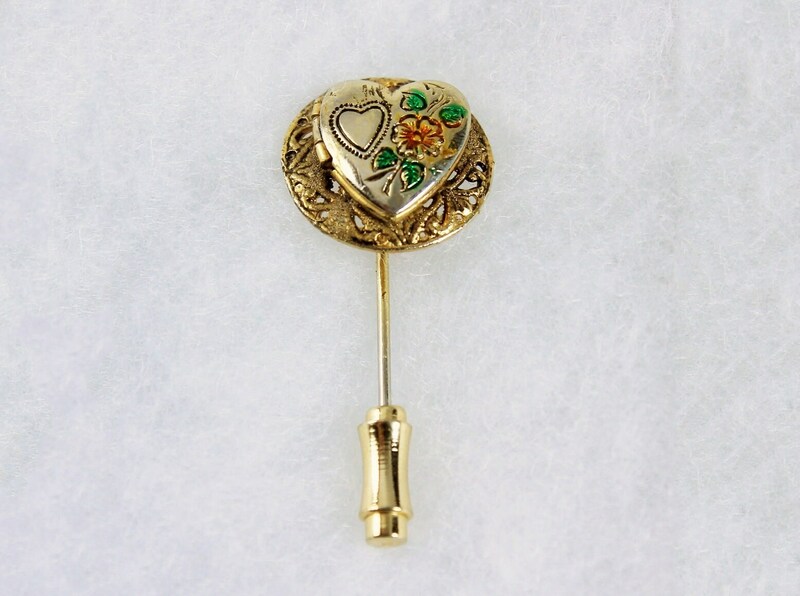 This is a gorgeous gold-tone heart-shaped locket stick pin. 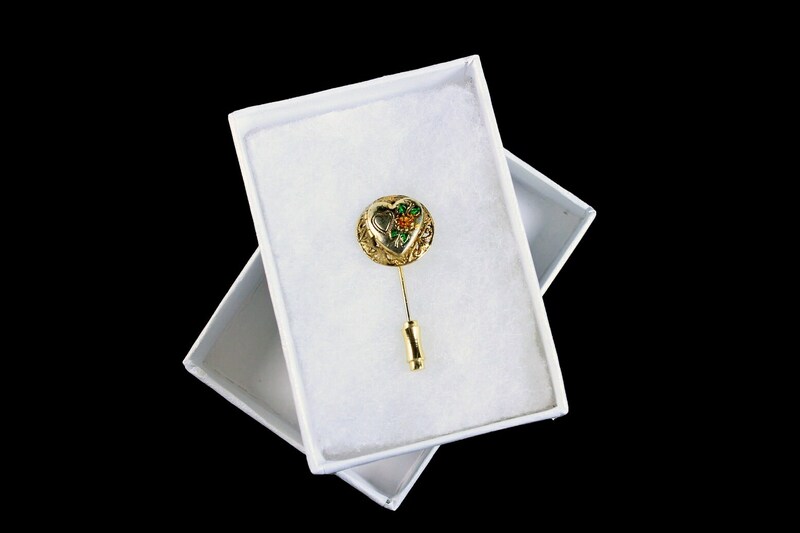 The locket opens and there is space to put two tiny photos. 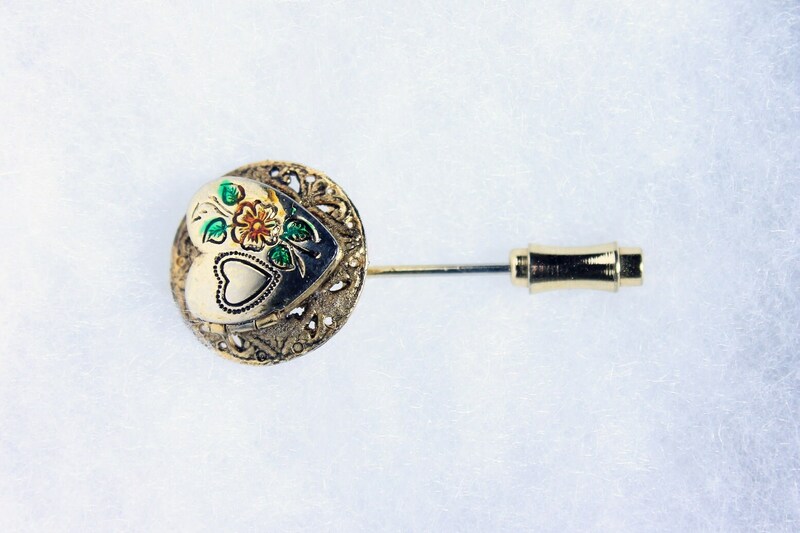 The front of the pin has a heart and flower design. 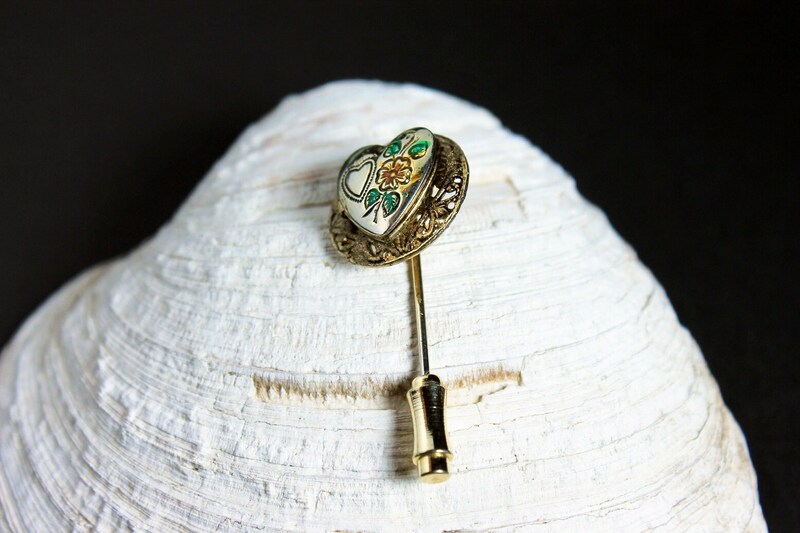 The flower has pink coloring with green leaves. 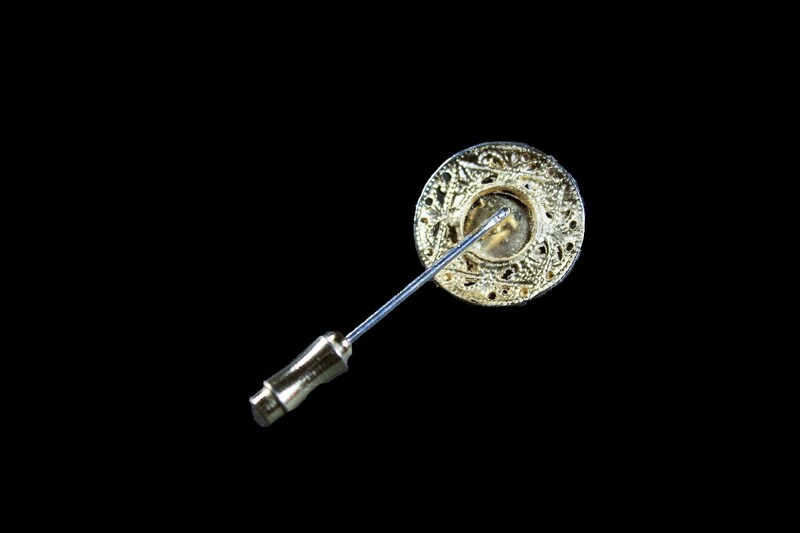 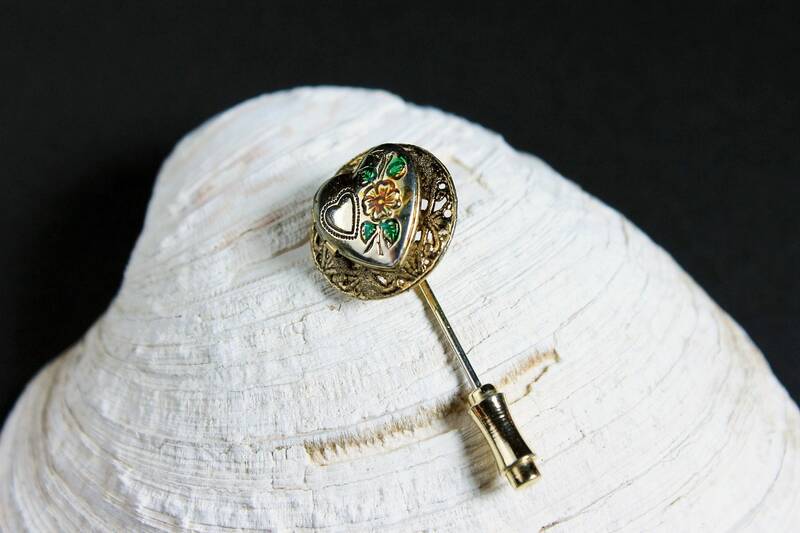 This pin could be attached to a cardigan, lapel, or used to close a sweater or scarf A wonderful collectible brooch that would make a perfect gift idea. 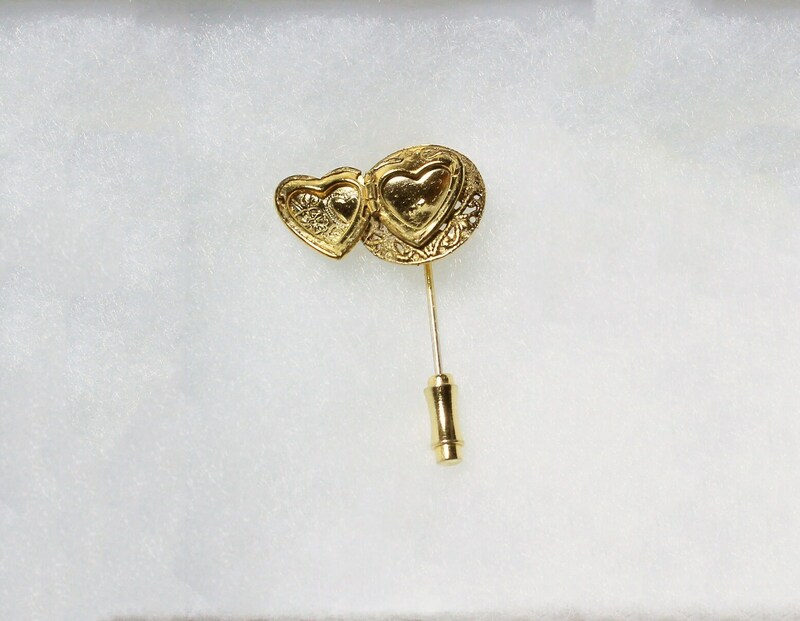 This is in excellent condition. 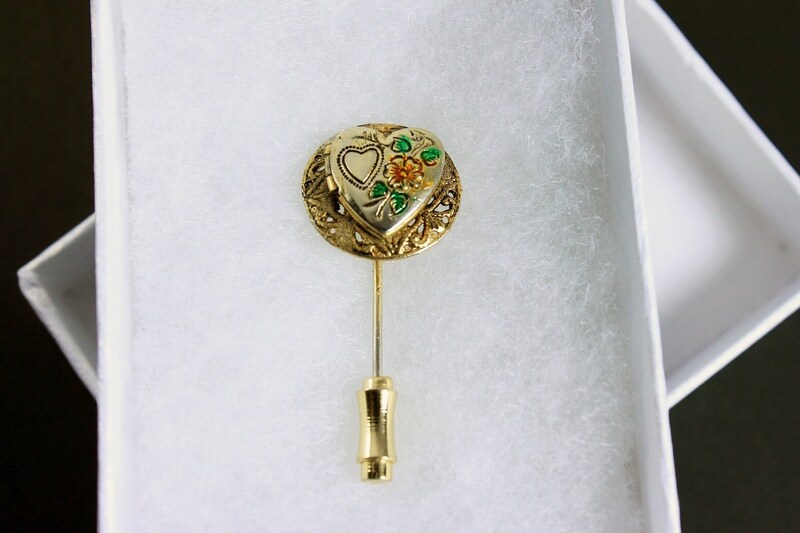 The gold is shiny and bright and the locket works perfectly. 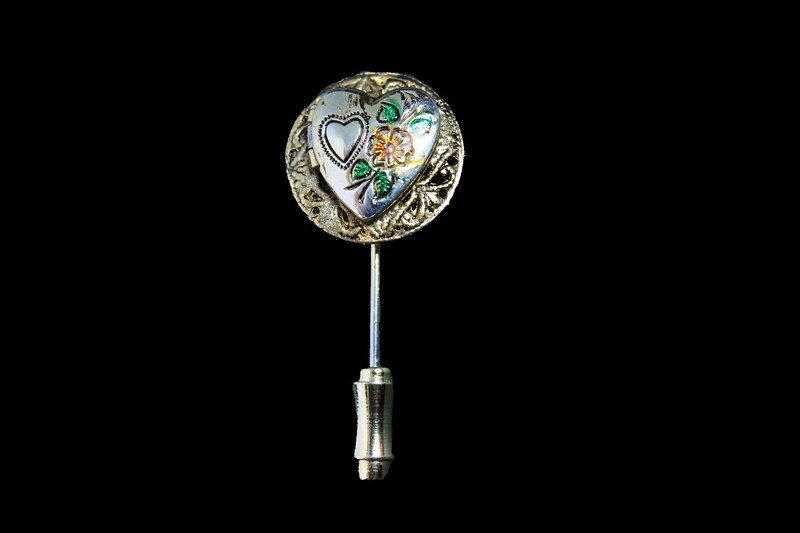 The stick pin's end slides on and off nicely.